Jaime-Jin Lewis is a racial equity activist, educator, and organizational strategist. She designs and leads interactive lectures and workshops for diverse audiences that aim to transform thinking and inspire action. She also coaches organizations and groups in how to use creative strategies and tactics to achieve social justice goals. Merging data and analysis, theory and practice, her aim is to create robust learning experiences that provide participants with tools for social change. Jaime-Jin served as the Executive Director of Border Crossers, a New York-based racial justice and education equity nonprofit, where she launched the Talking About Race curriculum for teachers and trained over 2,000 educators from over 900 schools nationally. Jaime-Jin has been cited in The New York Times, Colorlines, Resources in Independent School Education and multiple other publications. She has also served as a Strategist at Purpose.com and Director of Development at Caring Across Generations. 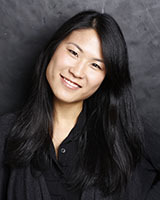 Jaime-Jin has a Bachelors of Urban and Environmental Planning from the University of Virginia and serves on the Board of Scholarly and Community Advisors for the Crossing Borders, Bridging Generations project of The Brooklyn Historical Society and on the Advisory Boards of the Third Wave Fund, 18MillionRising.org, and TabiiJust. She hails from Charlottesville, Virginia, has spent extensive time in Buenos Aires, Argentina, and currently resides in Brooklyn, New York.